If you run a business or manage a property in Lakeland, FL, road signs & safety devices are needed to keep things running safely and smoothly. Road Signs & Safety Devices in Lakeland – If you run a business or manage a property, road signs & safety devices are needed to keep things running safely and smoothly. Knowing where to purchase these items may be a mystery, but if you are in the Lakeland, Florida area, AAA Top Quality Asphalt is the only place you need to go. We offer installation of road signs & safety devices, so you don’t have to lift a finger. We also know what types of road signs & safety devices need to be used in certain places, and the proper distances for placement required by the law. Whether you require speed bumps to help enforce the speed limit in your neighborhood, or car stops to better protect your property, we have the product and skill required to install it. We also offer parking lot striping, asphalt paving, asphalt repair, asphalt sealing, excavating, and many other services to help you with your commercial or residential needs. We are the one-stop-shop for creating the safest and most secure parking lots in Polk County. We have years of experience, and our licensed contractors have the knowledge needed to get the job done right the first time. We even offer financing to our customers. Call us today to see how we can make your parking lot the best lot in town. We have the road signs that you need to purchase for your Lakeland, FL property, and we have the equipment and professionals to properly install them for you. Road signs are an important part of any system of travel. We can install a variety of road safety devices in Lakeland, FL, including speed bumps, detectable warning grids, bollards, and more. 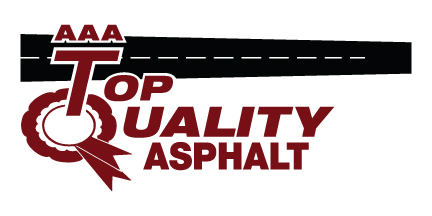 Here at AAA Top Quality Asphalt we provide quality Road Signs & Safety Devices for customers in and around Lakeland, Brandon, Tampa, Winter Haven and Clermont, Florida!